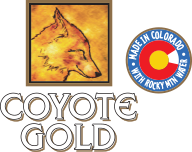 At Coyote Gold, we believe in giving to our community by supporting nonprofit charitable organizations. We offer nonprofit organizations two ways to turn your fundraisers into FUN-raisers (and increase revenues for your mission) by providing your supporters with delicious Coyote Gold Margaritas. If attendance is less than 800, we can send our TIPS-trained and certified Coyote Gold Ambassador with margaritas to your organization’s event. Our ambassador will pour Coyote Gold Margaritas over ice and give it away for free (yes free!) to your over-21-aged guests. Our favorite Margaritas With a Mission model works for events with lots and lots of guests, say over 800. Our ambassadors can set-up at one, or multiple, bar locations at your event and sell ice-cold Coyote Gold Margaritas to your supporters – with all the net proceeds going to your nonprofit organization. Colorado Gold® Margaritas are manufactured in the beautiful city of Fort Collins, CO. Our mailing address is 6419 Falcon Ridge Court, Fort Collins, CO 80525. You can reach us by calling 970-227-1455. Cheers! 21 or Over, Please Drink Responsibly and Do NOT Drink and Drive. Younger than 21, please don’t drink alcoholic beverages: It can wait. 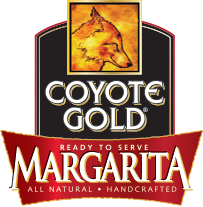 Coyote Gold® Margaritas is a responsible server.